2024 BCE, when fallout from the Enlilites’ nuking of Sinai and the cities on the south shore of the Salt (which became the Dead) Sea stormed over Sumer, “”In Ur, Sumer’s city of kingship, Nannar to his father Enlil for help cried, “Father who begot me great god who to Ur had granted kingship. turn the Evil Wind away, Nannar pleaded.” But the Commander replied, “Take hold of your spouse Ningal, flee the city.” Nannar and Ningal got out in time, but he was crippled by the nuclear storm and his city decimated [Enki: 21]. He fled to the moon, then, when the radiation dissipated, returned to his other temple in Harran, Sumer’s city of trade and learning. 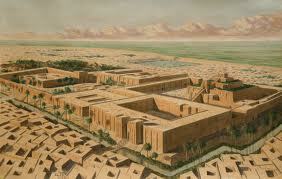 In 610 BCE, the Assyrian army “retreated to Harran for a last stand against the Babylonians and lost. Nannar, angrily left Earth again for his place on the moon. ADAPA GUPI, the High Priestess at Nannar’s Harran temple, at age 95, induced him to return to Harran, and got Marduk’s ok. She had inscribed on stone columns in Harran: “ ‘In the 16th year of Nebuchadnezzar, king of Babylon, when Nannar became angry with his city and his temple and went up to heaven and the city and the people in it went to ruin.” But Adapa Gupi stayed on. Daily, for years, she went to the Nannar’s desolate shrines. Then, in the abandoned sacred precinct she discovered a robe that belonged to Nannar.” Holding the hem of the robe [did it have a com-device attached? ], “she prostrated herself,” prayed for him to return and rule Sumer again. “Adapa Gupi offered Nannar a deal: if he’d return and use his authority and divine powers to make her son NABUNA’ID the next imperial king, reigning in Babylon over both the Babylonian and Assyrian domains, Nabuna’id would restore Nannar’s temple in Ur and reinstate Nannar as Messiah, in all the lands where Sumerians dwelt.” Nannar, in “dream vision” agreed to her deal. Adapa Gupi wrote, “‘Nabuna’id to the kingship of Sumer and Akkad, all the lands from the border of Egypt, from the Upper Sea to the Lower Sea, in his hands he entrusted.” Adapa Gupi begged Nannar to persuade Nibiran chiefs “to be at Nabuna’id’ side as he battled his enemies” so he could “rebuild the Ehulhul temple” in Harran and restore Harran to its greatness. In 556 BCE Nannar returned to Harran in his spacecraft, “The Boat of Heaven.” Enlil’s Chancellor, Nuksu, signaling Commander Enlil’s approval, joined Nannar in a ceremony consecrating the rebuilt temple. 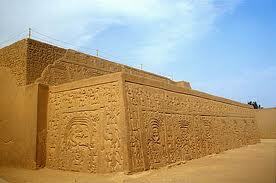 Around 400 BCE to as late as From 1000 to 1400 CE, Nannar reigned over the High Civilization that preceded the Chimu. 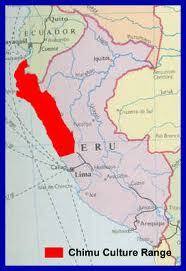 Chimu, long after Nannar left to vie for rule of Nibiru, Chimu remained a high civilization in Peru. 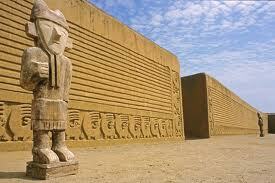 Rulers in the Chimu capital, Chan-Chan, where the Moche River flows into the Pacific, reigned over a huge area. Following the abdication of King Anu in 530 CE, his grandson Nannar of the Royal Enlil (Ram) Lineage has ruled Nibiru as King. Nannar was never on King Anu’s “A-List” of candidates for successor. The King had to balance the claims of the two main lineages within the clan he begat, the lineage of Enlil-Yahweh-Nammur (Enlilites) and the lineage of Enki-Adonoi-Ankur (the Enkiites) and the sublineage of Maruk (Mardukites) within Enki’s lineage. Anu had rejected lineage heads Enlil and Enki as the next king and instead gave them major portfolios in his Council of Ministers. He made Enlil Secretary of the Treasury (Nunerimtar) and Enki Secretary of Science and the Quantum Computer (Dirgam). He rejected both Enlil’s eldest son Ninurta and Enki’s son Nergal as next King for the war crimes they committed on Earth. He gave Ninurta charge of Defense and Interplanetary Affairs (Nunurusar) and chose Nergal as his diplomatic representative. Anu made Enlil’s son Utu-Shamash chief of all Space Operations. Anu favored Ningishzidda, whose mother was Ereshkigal, of Enlil’s line but whose father was Enki, head of the Enkiites as a sop to both lineages. Anu distributed portfolios to buy loyalty and unify those he so pacified against Marduk. 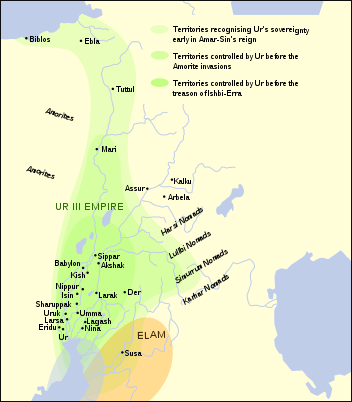 A unified Council would, he hoped, block Marduk’s demand that Anu follow his pledge to King Alalu. The Council to which Anu appointed his sons and grandsons, twelve Royals who act as “a sounding board for decisions and policies to be adopted “after they reach consensus. Their decisions then go to the AKILAH, an organization equivalent to the House of Representatives, a consensus-builder for policies emanating from the Court and the Council of Ministers. 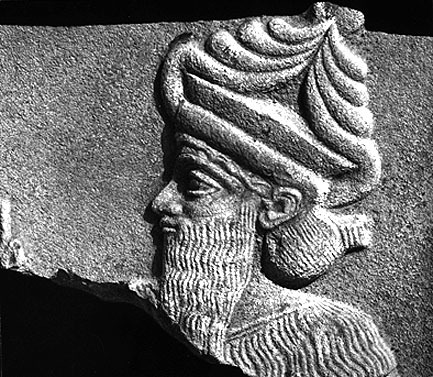 Prince Marduk argued that he, not Anu, should rule Nibiru. 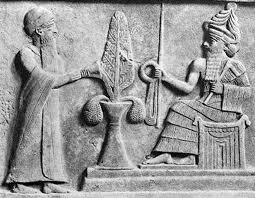 Marduk argued that when Anu deposed King Alalu, who preceded Anu as Nibiru’s King, Marduk was the next lawful King. Anu reneged on his pledge that Marduk would follow Alalu to rule the planet. Anu had seized the crown on Nibiru for himself. He then kept Marduk from authority on Earth as much as he could. Back in 2024 BCE, to block Marduk’s growing alliance with us Earthlings, Anu authorized Ninurta to nuke the Sinai Spaceport to keep it from Marduk. Anu also had Marduk’s jealous brother, Nergal bomb allies of Marduk’s son Nabu at Sodom and Gomorrah in Canaan. Anu declared “he was planning on stepping down decades before the birth of Christ. A fast Nibiran exodus from Earth ensued. Enlil and Enki returned to Nibiru to be with Anu and to lobby for their own interests. Enki’s sons Marduk and Ningishzidda and their families went back following the final closure of the smelting operation in Bolivia. Nergal, Nergal’s consort (Nannar’s daughter Ereshkigal) and Enlil were first to return to Nibiru with King Anu’s grandson Ninurta and consort.” Enlilites Nannar, his mate, Ningal, Adad, brother Adad, daughter Inanna as well as Asnan and Nanshe left Earth for an orbiting platform to wait for transport to Nibiru.” but Nannar and Ningal returned to northern Syria in “the middle of the Common Era,” then returned to the orbiting platform to head to Nibiru with the rest of the Royals. No sooner had Nannar and Ningal returned to the platform, when Anu and Enlil communicated orders from Nibiru for Nannar to return to the Altiplano of southeastern Peru to help Nannar’s son Utu close “the smelter at Sacsahuaman and dismantle runway operations in the Nazca area of southern Peru with assistance from relocated Kassites from southern and central Turkey.” Anunnaki in outposts in the American midwest, southeast and southwest, Africa, Japan, coastal China, Korea, Nepal and Tibet passed on farming and animal husbandry technology to their Earthling followers before leaving the Earth. Prince Marduk (within the Serpent sub-lineage of Anunnaki Chief Scientist Enki-Ankur) runs the camp of 300 Anunnaki already here on Earth. Marduk and his czars nowadays boss all of Earth’s institutions. 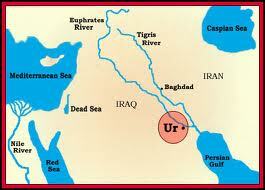 “Marduk has a stronghold over banking cartels, educational systems, religions and most institutions” here on Earth. Anu, who ruled Nibiru, announced around 70CE that he was abdicating as Nibiru’s King. This resulted in a fast exodus of the Anunnaki still on Earth. Enki, the Anunnaki Chief Scientist, his sons Nergal, Gibil and Ningishzidda as well as Marduk (Anu temporarily suspended Marduk’s exile for marrying Earthling Sarpanit) and Marduk’s son Nabu. Anu, took 600 years to choose his Nannar as his successor. Nannar intended to depose Marduk and free us from Maruku’s matrix. Nannar now, he says, brings with him the “Dedicated Human” who, he says, will create “direct democracy” for those of us who survive the Earth changes Nibiru’s nearing will cause. Nannar’s operatives and agents have infiltrated all Marduk’s power elite organizations. Nannar’s people had been assassinating Marduk’s Earthling assets and Anunnaki agents; that’s why Marduk’s Anunnaki always traveled in pairs before Galzu intervened and ordered the Anunnaki to all cooperate in bringing about Enki’s age here on Earth.